No matter how many times I send my kids off to school, part of me still worries about not being able to keep an eye on them the moment they leave the house. Since they’re not allowed to use their mobile phones in school, I went looking for the closest alternative possible. 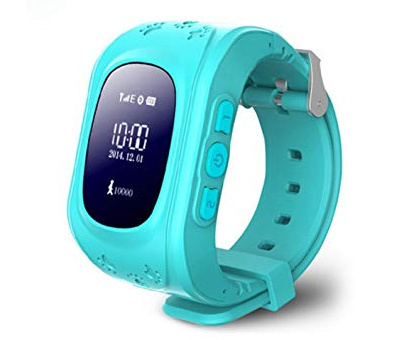 The Leegoal Anti-Lost Smartwatch for Kids on Metrodeal instantly caught my attention. It turns out, the smartwatch comes with real-time GPS, allowing me to track the exact location of my kids. They can even send chats and make phone calls from it. I can say, it’s better than buying them the latest smartphone today. It records how many steps they took during the day, too, so I can monitor if they’re taking enough exercise (or they’re running away from a bad person). The watch helps my kids work on their physical development as they try to beat their daily record every day. I’m at peace knowing that if they ever find themselves in trouble, they can always press the SOS button and I’d know exactly where they are. My kids are thrilled with it and I’m comfortable knowing where they are and how they’re doing. Thanks, Metrodeal for this awesome offer! This entry was posted in Product review, Reviews and tagged metrodeal reviews. Bookmark the permalink.